I share Love completely wherever I go, I participate Peacefully with hope & with joy. My Compassion is genuine & runs very deep, I fully support Laughter & Silly is sweet. When working, I'm busy with multi-tasking & can be very quiet when I'm thoughtful with think. I find it difficult to write about myself as I really don't know what to say. No idea really.. Hi, I like light blue, bubbles & flowers? lol No, don't think that will quite suffice as a description here. When it comes to being me -trying to explain what I do, who I am, how I help others, etc.. it just isn't easy for me. I can give you the basic facts: I'm half Native American - 1/4 Cherokee and 1/4 Apache. My other half is Dutch and Irish. I'm sort of Human :) I've always been this *way* - I was born this way. I don't like labels, but for the sake of clarity & understanding, I'll try. Although, really, there just aren't words to describe most of it. Some of you will *get* this.. but some will not, so here are some words to try to help.. protector, warrior, healer, empath, intuitive, clairsentient, psychometrist(sp? 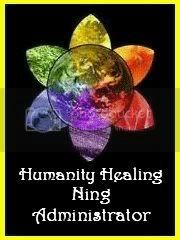 ), clairvoyant, channel, use energy in my art, work with crystals, do chakra work - just so much. I work with energy in more ways than I'll even try to list here. I prefer the energy that flows from God,the Universe, or pick your word & then flows through me without any provocation on my part & just *shows* me what I need to see &/or share rather than doing requested "readings". Used to do those long ago, so if that's what you're looking for others are better suited for that. If energy is channeled through me for you *I will let you know*. Also, as previously stated I'm an empath & a very sensitive one. Therefore, I keep myself nicely blocked, shielded & all that good stuff. Please don't take it personally if you're able to feel my 'blocks' up.. chances are very good that I'm not blocking you.. that I'm just blocking 'in general'. While anything is possible & nothing is set in stone - whichever way I'm working with *it* in this moment is exactly how I need to be working with *it* in this moment. 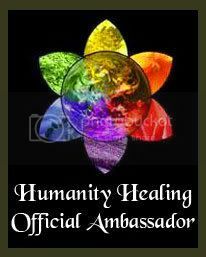 Administrator and Ambassador of the House of Compassion during Humanity Healing's original community, I am thrilled to finally be back here at my home away from home and look forward to jumping back in! I'm so happy to be able to reconnect with my HH family and friends, and I'm also really excited to get to know all of the new beautiful souls I've yet to meet and befriend. Thank you so much for everything that you do, and for all of the Love that you share. It's been far, far too long since I've seen you all! As for me, well.... I guess I really need to update my profile! I didn't even read through it before I started making this post to you all. A big Thank You to everyone for the Birthday wishes and all of the messages you've sent!! I've been off gallivanting around road tripping for a couple of weeks, so I haven't been online at all lately. I'm sorry I haven't been around, but I got a bad flu and then went through two bouts of secondary respiratory infections after that. I am sorry I couldn't let all know, but to those I was in contact with during that time, thank you so much for being the wonderful, loving family that mean more than the world to me. After his stroke on December 3rd, he was in the hospital for a few weeks and then he went to an alzheimers unit to get him stabilized enough for him to have the surgery he needs, with the ultimate goal being the hope that he will get to come back home again after a few months or so. Thank you, that is a beautiful saying! May you find happiness everywhere you turn. Thank you, you paint beautiful pictures with words! Thanks for this beautiful quote, Pranayama!